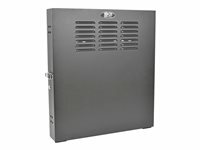 The SRWO8U22 SmartRack 8U/12U/22U Expandable Flat-Pack Low-Profile Switch-Depth Wall-Mount 2-Post Open-Frame Rack stores and organizes EIA-standard 19-inch rack equipment compatible with 2-post mounting in network wiring closets, back offices and other secure IT areas with limited floor space where a locked enclosure is not required. 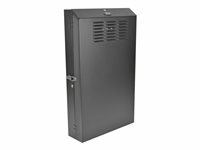 Mounted to the wall or resting on the floor, this rack offers fast, easy access to network components and cabling. 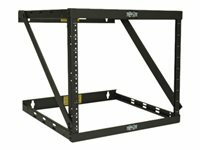 Constructed from heavy-duty steel with a durable black powder-coated finish, the rack has a maximum load capacity of 150 pounds. 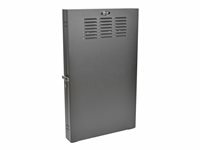 The expandable design allows you to assemble the rack in an 8U, 12U or 22U configuration to meet your current needs, while leaving rack space in reserve for future expansion. 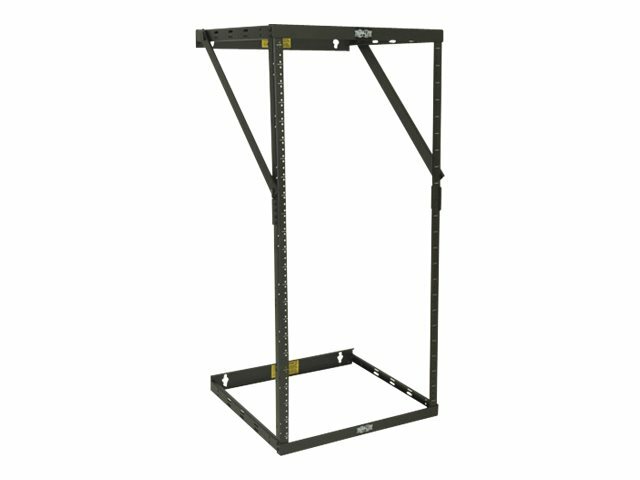 The rack is simple to assemble and mount to the wall. 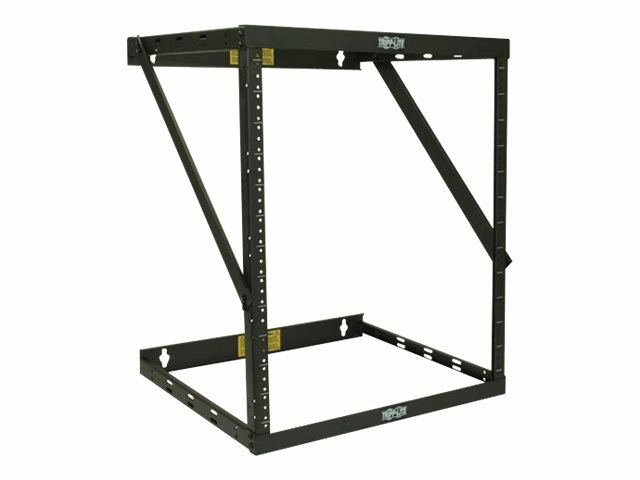 Threaded 12-24 mounting holes and numbered rack spaces make equipment installation easy. 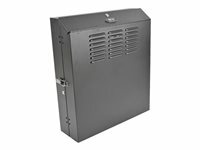 The vertical mounting rails accommodate equipment up to 18 inches deep, such as network switches and patch panels. Assembly and equipment-mounting hardware is included.